IT Specialists (ITS) is a nationwide managed IT services provider that offers a range of IT services including managed backup and disaster recovery, and cloud hosting. Under one name or another, ITS has been around since 1896, when it was known as Kalamazoo. Rebranded in 2015, the company is a part of the global software and services provider, Reynolds and Reynolds, and has three UK offices in London, Birmingham and Lutterworth. Although its parent company, Reynolds and Reynolds, employs over 4,300 people worldwide and is a very well-known technology provider in the US, the UK arm of this company, IT Specialists (ITS), was recently rebranded, and needed to ensure that customers and prospects knew of its full range of offerings. 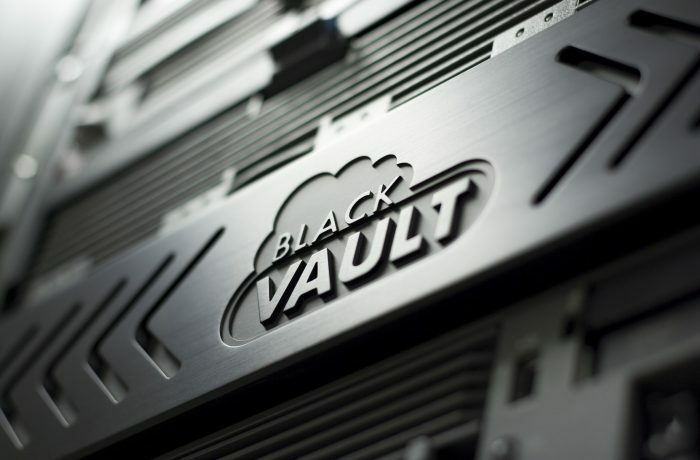 In addition to its IT support and field services, ITS launched two business continuity services, BlackCloud and BlackVault, so wanted to raise awareness of the benefits that the solutions offered businesses during disaster recovery periods. ITS selected Vitis PR thanks to its Birmingham office, which is where ITS’ UK headquarters are, and Vitis PR proposed a number of tactics to achieve ITS’ objectives, including thought-leadership, news stories, research, case studies and awards. The combination of activities provided a wide range of exposure that helped to draw attention to the expertise of ITS’ team. Weekly calls with the marketing team and a shared project tracker ensured that PR progress was transparent to the client’s marketing team and senior executives. As part of the campaign, Vitis PR also provided social media posts and an advertisement on TechSparx, which ran alongside any services stories, to effectively highlight ITS’ range of IT support, business continuity and disaster recovery offerings to readers. Each year, Vitis PR focused on a specific theme for ITS’ PR, ensuring a good range of coverage was achieved within key enterprise and cloud technology, and business continuity and disaster recovery publications. Regionally focused stories, including appointments releases and launching new services such as a managed firewall, also secured local and business press coverage. Vitis PR kicked off 2015 with a series of articles written jointly with ITS’ copywriting team about how bad weather and winter storms could adversely affect businesses, and why companies of all sizes needed to have a disaster recovery plan in place to ensure business continuity. This article topic secured interest with seven media titles and Vitis PR built upon this success by turning a longer core piece of content into shorter pieces around individual disasters, from a fire in Holborn affecting businesses in the area to the Forth Road Bridge closure meaning no commuters could get into work in the Scottish capital, achieving nine further pieces of coverage. As 2015 had been an article-led year, with Vitis PR introducing ITS to all the relevant media and positioning ITS’ authors as thought-leaders and experts, 2016 was an extension of this with media interviews the primary focus. Over the course of 2016, Vitis PR wrote a number of case studies, such as Rockingham Motor Speedway and Lyco, and secured media interviews for ITS with CloudTalks, Cloud Computing News, Infosecurity Magazine and Computer Weekly. This was supplemented by coverage of press releases on the business’ growth, new partners and award wins in Digitalisation World, Microscope, Inside Networks, IT Europa, Vigilance Security, Comms Business and Channel Pro, amongst others. 2017 saw Vitis PR continue its content-led PR plan, with another nine articles drafted over the first six months and five further press releases created, issued and placed with media, along with two new partners stories. The partner stories were turned into case studies and achieved coverage online at Professional Security, Backup Review and Channel E2E, and garnered interest in interviews with Talk Business, Small Business, IFSEC Global and Real Business, to name just a few. To coincide with Business Continuity Awareness Week (BCAW), Vitis PR created a survey that identified the top 10 UK disasters over the past 12 months, in terms of lost business days and financials, which ITS supplemented with an infographic. Vitis PR then approached the BCI and offered dedicated BCAW content from ITS ahead of the annual week, including placement of the survey results release and infographic, which also resulted in coverage in 2016 with ITProPortal, Beta News, Continuity Central, Information Security Buzz, Information Age, Storage Magazine and Cloud Computing News. 2017 saw Vitis PR promoting a business continuity whitepaper for ITS, using the content within it to secure articles and blog posts for BCAW, focused around cybersecurity best practices and sharing ITS’ advice on how to educate employees to increase resiliency. From 2015 to 2017, Vitis PR also supported ITS with speaker submissions for events including Business Continuity World (BCI World), creating award-winning entries for events like the Business Continuity Awards, where ITS was named Cloud-based Services Provider 2017, and writing releases around award shortlisting and finalist placements, such as the Most Effective Recovery of the Year category of the CIR Business Continuity Awards 2017 and Cloud-based Services Provider 2016.